TLDR: Do you really need wedding ampoules / airbrush makeup and what are the usual hidden costs I should watch out for? Since embarking on this entire wedding affair, I've come to realise that the wedding industry is full of profiteering vendors who are quite ready to sell you exorbitant services or packages as you try to put together your dream wedding. And nowhere is this more prominent than in the bridal makeup and hair styling industry. 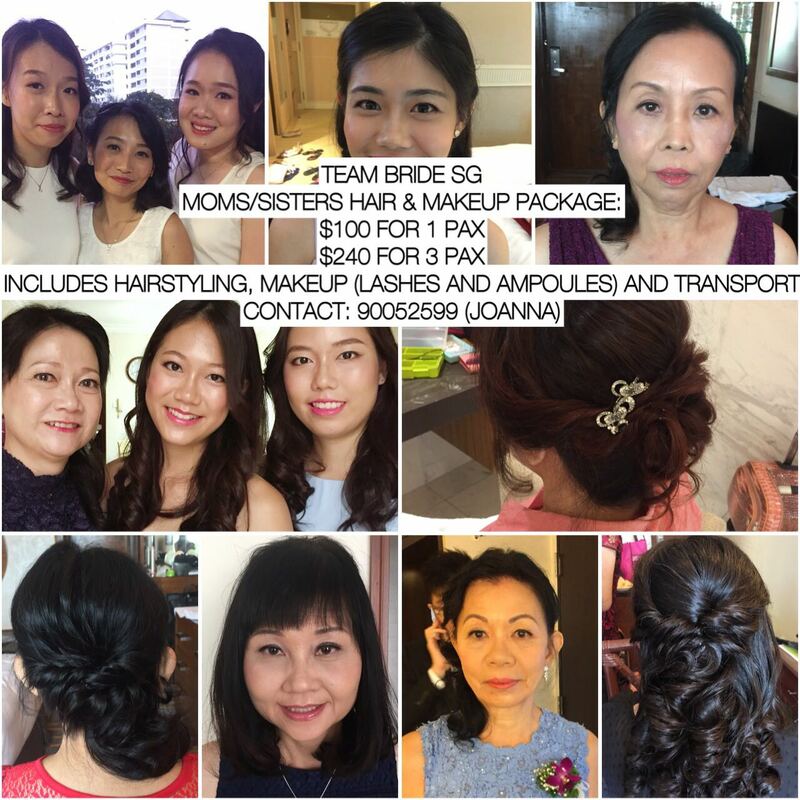 I had initially budgeted $200 for wedding makeup and hair. Once I started sourcing for quotes, I realised this amount could barely even buy me a pre-wedding look, much less for my actual day. So I then increased my budget by twice, hoping that it'll be enough, but apparently not for all vendors. If you divide that by the number of work hours, a higher-end wedding makeup artist is pretty much earning $550 PER HOUR for just painting a face and styling a bride's hair. For an average-priced makeup artist who charges $700 for the AD package, getting 8 brides in a single month will easily earn her $5,600 of income for just 32 hours of work. You don't even need to go through university for this - save that 5-digit tuition fee loan! So parents, you don't need to dissuade your child from learning the arts. This is even more lucrative than most jobs out there! 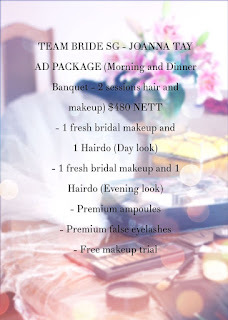 Seeing the industry rates made me want to hop onto the bandwagon and start selling my bridal makeup services too. I then told my mother-in-law that I'm giving up and will be doing my own makeup instead, because I really don't see the point of paying so much when I can jolly well do my own makeup. For hair, I can easily just go to the hair salon and get them to style it for me for under $100. 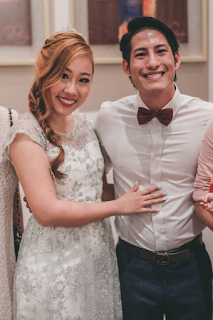 She chided me and said, "No bride does her own makeup lah! Haiya! Let me pay for you lah!" There's no way I'm going to let my unemployed mother-in-law pay for my bridal makeup so I relented and resumed my search for the perfect makeup artist who isn't going to rip me off. The next step came in finding honest MUAs who were transparent about their rates. There were a couple who quoted me really low prices, only for me to find out later that I had to top up an additional surcharge for transport, ampoule, false eyelashes and what not. When I told them that I'll pay for their taxi fare (must give me the receipt) and provide my own ampoule plus eyelashes, they refused and said they will only use their own. Reason? To ensure quality. This post is probably going to incur a lot of wrath from makeup artists who believe in the overpriced worth of their art and make their earnings from selling their clients ampoules and faux eyelashes. But I'm going to put it out here anyway because brides who truly can't afford all of that deserve to know. 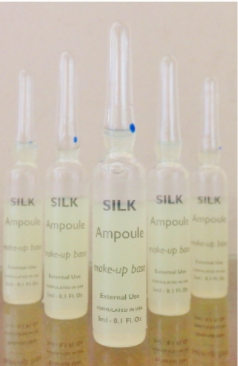 Do you really need ampoules for your bridal makeup? They're basically little glass jars of serums for the skin, which are sealed airtight and broken. The formula inside is usually highly-concentrated and comes in different variations - oil-control, whitening, vitamin C, hydrating, etc. Do they really make your makeup last longer? Not really. If you're expecting a gorgeous, oil-free and dewy complexion with your makeup lasting the entire day just because of the ampoule, I'm sorry to break it to you that you can continue dreaming. 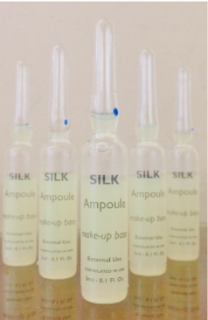 What can I substitute an ampoule with? Using a high-quality serum will give you the same effect. I'd much rather pay for a bottle of SK-II serum that can last me for months, rather than a $30 ampoule that I can use for only a day. My wedding makeup artist also recommends using a makeup primer instead, which was what she applied on me for my outdoor shoot. I've personally been using Benefit's POREfessional primer for all my events and public appearances, which you can get from Sephora at $54 for 22ml. Other than ampoules, what else do sneaky makeup artists charge extra for? What about airbrush makeup? Should I go for that, or is traditional makeup sufficient? Honey, it is all about the hype. Airbrush makeup consists of a light-weight makeup applied through an air gun machine that produces a thin and even mist of makeup, creating a very matte finish on your skin. It was designed to provide a flawless complexion, as the fine mist allows your true skin tone to show you, thus making it look more natural and not too cakey. It is also waterproof, long-lasting and will not transfer onto your clothing. Unfortunately, if you're not blessed with genetically awesome skin, airbrush makeup isn't going to transform you into a goddess overnight. It may therefore not be suitable for all brides. Traditional makeup, on the other hand, is your usual liquid / cream / powder. It is highly versatile, and can be layered to conceal all your imperfections easily. Unfortunately, it is usually not waterproof, will rub off on your clothing, and will need occasional touchups every now and then. If your makeup artist has poor skill, you're also likely going to get a very cakey look. My personal preference is to just stick to traditional makeup and get a skilled makeup artist. You can always check out their portfolio or request for a makeup trial before you confirm them for your actual wedding day. It is far better to prep your skin with good skincare than to opt for the overhyped airbrush makeup. I managed to find photos of airbrush makeup vs. traditional makeup taken by the same photographer. It is almost impossible to tell the difference. 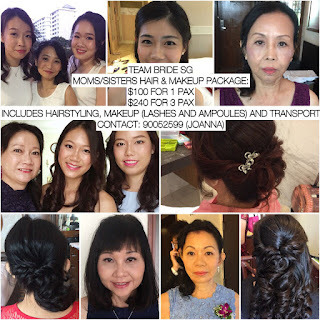 I've asked for a free mother's makeup (worth $100) with every bridal package purchased by my readers, so you can tell her you're a reader of my blog to enjoy this benefit. Have fun!